Hyundai looks to break its mold with the 2020 Sonata, giving it an all-new look that separates it from the brand’s current design language and installs a new, more futuristic take on the sedan. Here’s what to expect when the redesigned 2020 Hyundai Sonata hits showrooms. The 2020 Hyundai Sonata is about as much as a clean-sheet redesign as you’ll ever see. The 2020 Sonata will abandon the typical sedan proportions and take on swoopy coupe-like characteristics, including a rounded roofline and a shallow-raked C-pillar. Up front, the grille is significantly wider and more dramatic while the nose features a downward slope that further enhances its newfound sporty nature. 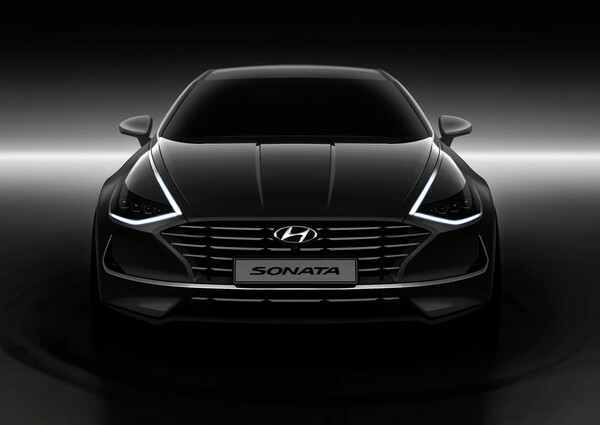 The 2020 Hyundai Sonata will pay homage to its predecessor by keeping its signature chrome strips that meet the edge of each headlight and swoop down the side and around the side windows. 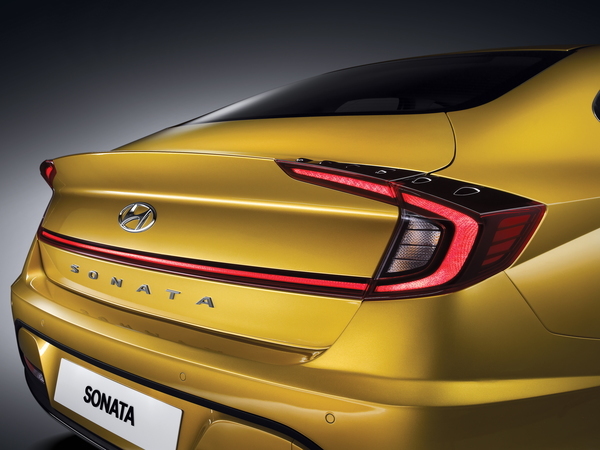 Beyond its new looks, a tape measure will show the 2020 Hyundai Sonata will be 1.2 inches lower, 1 inch wider, and 1.75 inches longer than the current Sonata. It will also ride on a 1.4-inch-longer wheelbase. 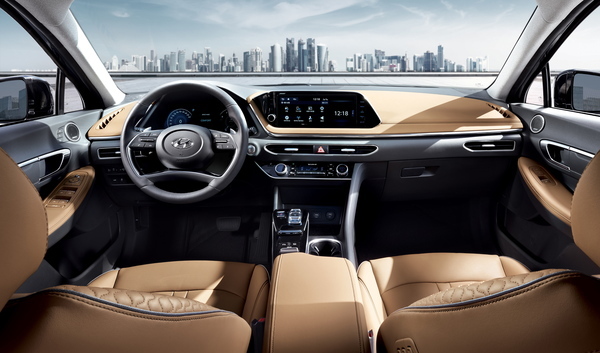 Use the all-new smartphone-powered digital key to enter the 2020 Hyundai Sonata’s cabin, and you’ll encounter an exercise in a less-is-more design scheme. The lower and thinner wing-like dash and horizontal posts on the steering wheel give the interior a more airy and spacious feel. The minimalist concepts continue with its thin air vents, simple climate controls, and push-button shifter. Not so minimalists are its large 10.25-inch high-definition touchscreen and 12.3-inch digital gauge cluster. Under the 2020 Hyundai Sonata’s hood will be a standard 2.5-liter four-cylinder engine that will crank out 191 horsepower and 181 pound-feet of torque, which will be improvements of 6 hp and 3 lb-ft compared to the 2019 model’s base engine. Hyundai also expects 33 miles per gallon combined from this engine, which will be a 4 mpg improvement over the previous 2.4-liter engine. A new 1.6-litter Smartstream turbocharged four-cylinder engine will deliver 180 hp and 195 lb-ft of torque while delivering up to 31 mpg combined. 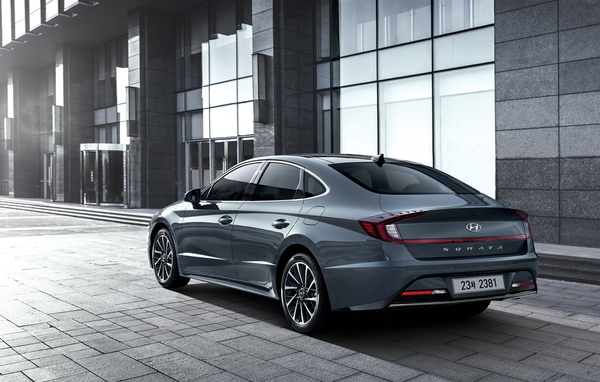 The 2020 Hyundai Sonata will come loaded with standard advanced safety equipment, including adaptive cruise control, automatic emergency braking, automatic high-beam headlights, lane-keep assist, lane-follow assist, driver-attention warning, a rearview camera with dynamic guidelines, and more. This will set it up nicely to be an IIHS Top Safety Pick if the 2020 Sonata can pass the crash tests. The 2020 Sonata will hit showrooms in October 2019, but pricing remains unclear. With its significant updates, we expect at least a small price hike relative to the current Sonata’s pricing scheme, which ranges from $23,420 to $33,020 (destination fees included). The 2020 Hyundai Sonata will compete with the Honda Accord, Toyota Camry, and Chevy Malibu. We have partnered with trusted dealers in your area to give you a great price on the new Hyundai Sonata. We connect you to the Internet Department at a Trusted Dealership. Use the CarsDirect Target Price as a tool in your negotiation. The dealer will help you with financing or leasing, as well as trade-in options. We have information you must know before you buy the Sonata. We want to send it to you, along with other pricing insights. We will not spam you, and will never sell your email. You may unsubscribe at any time. Thank you. You are now subscribed to our Pricing Insider updates.